It’s been years since the whole “There’s an app for that” campaign took place. And if there was an app for virtually everything way back then, imagine how many programs are available now! Close to 2 Million in both iOS and Android app stores. Grocery shopping, mobile health, social media, photo editing – if you can dream it, chances are there’s an app for it. With so much competition, how do you design an app that won’t get lost in the doldrums of the app store? 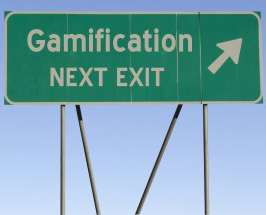 There are a number of tactics that can be used, but one of the most popular – and for good reason – is gamification. Gamification – awarding badges, levels, or game points that are not transferrable for prizes, is a popular perk in the mobile app industry. In their whitepaper, Gamification.co authors argue that Generation Y is highly attuned to gamification and will expect it in almost all aspects of their life. The idea is to make something – work, recreation, or, in this case, mobile app usage – fun in order to influence particular behaviors. App makers have adopted this strategy early – look at FourSquare’s success. Integrating in-app games allows app owners to grow hours and excitement completely in-house. Whether the game is played, app pages are visited, or comments made, users gain credit by using the app more and more and thus benefitting the app creator – you! The game’s incentive can be a symbolic badge of honor, or it can allow participants more options in the app. Keeping users thus engaged will gain you more exposure, airtime, and clicks. Chances are, these users are posting, blogging, and tagging their way through your app on a regular basis. And if they’re not, offer a bonus to do so! An added incentive comes from allowing app users to come up with their own labels. Whether it’s a contest or popular vote, those who use the app most can help come up with the best options for moving it forward. Users will be happy to mold something they love, while you get more links, likes and news stories. Define your goal: what user behavior(s) would you like to influence and how? Know your user: come up with game incentives and triggers that will make sense, and appeal, to your target users. Reward the hard work and encourage social sharing of news about your winners! Every app and every target audience is different, but we guarantee you, there are ways to get almost any audience gaming – just follow these simple rules and experiment, experiment, experiment! With MobileSmith, experimentation is easy – the prototype is compiled instantly and sent over-the-air to your phone, where you can tap through your app, test the game experience and make any changes to the UI/UX, if necessary. Thus, you can fine-tune your app gamification with virtually no cost. And your users will reward you with more downloads, shares, likes and, yes, revenue.